Exquisite handmade double pearl and silver charm bracelet. 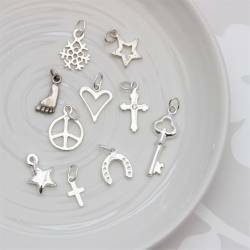 Add a silver letter charm or other charm to celebrate a new baby, Christenings, wish good luck, a special birthday or bridesmaids gift. 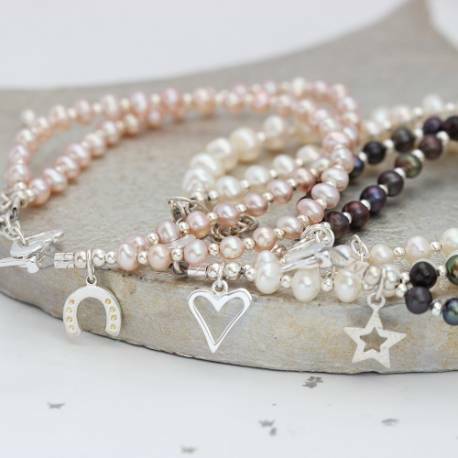 These beautiful delicate double stranded pearl charm bracelets are available in white, pink or peacock coloured pearls. They come with a sterling silver extension chain so you can get the perfect fit. To make this bracelet extra special we can add a sterling silver letter charm or variety of other different silver charms. 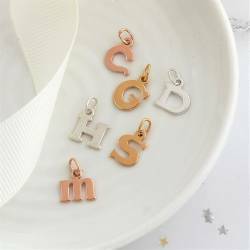 If you would like to include a letter or other silver charm please use the matching accessories tab below or under the charms section from the drop down menu above, and order them the same time as you order your bracelet. Any additional charms that you order at the same time as your bracelet will be added near the clasp. If you order more than one charm they will be placed on the same side of the clasp but will have a silver bead between each. 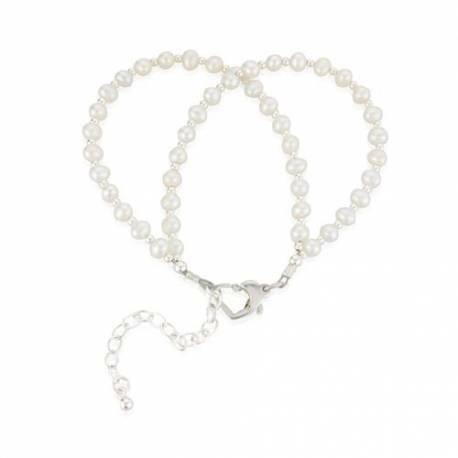 Your pearl bracelet will be beautifully wrapped in a black box, tied with ivory ribbon and a gift card enclosed. This standard service is free of charge. Orders can also be wrapped in luxury black and gold paper and finished with a black satin bow and gift card, or silver paper finished with lilac satin ribbon and a gift card. There is a small charge per item for this service. 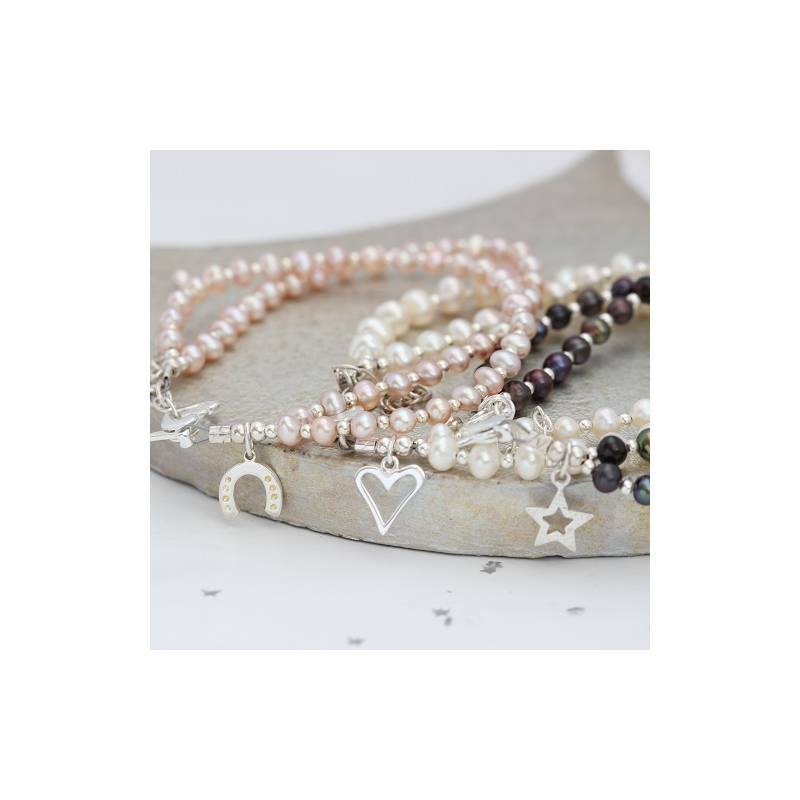 The bracelet is available in two sizes, 17cm and 19cm, both sizes have a 5cm Sterling silver extension chain so the largest size will extend to 24cm if needed. The pearls are approx 4-5mm and the silver spacer beads are 2mm. Matching childrens bracelets are available in the childrens section.